I’d say that usability testing needs to be moved over to the right a bit with a bit over the expert/participatory divide. Yes – there are the classic lab-tests where we run N users through the same standard set of tasks and treat them in aggregate. But there are also the more onsite or ad-hoc usability tests. The times you and the user go on a brief journey together. The ones where they show you how they do things and start talking about what they want. When they start reaching for the pens in the paper prototyping sessions. 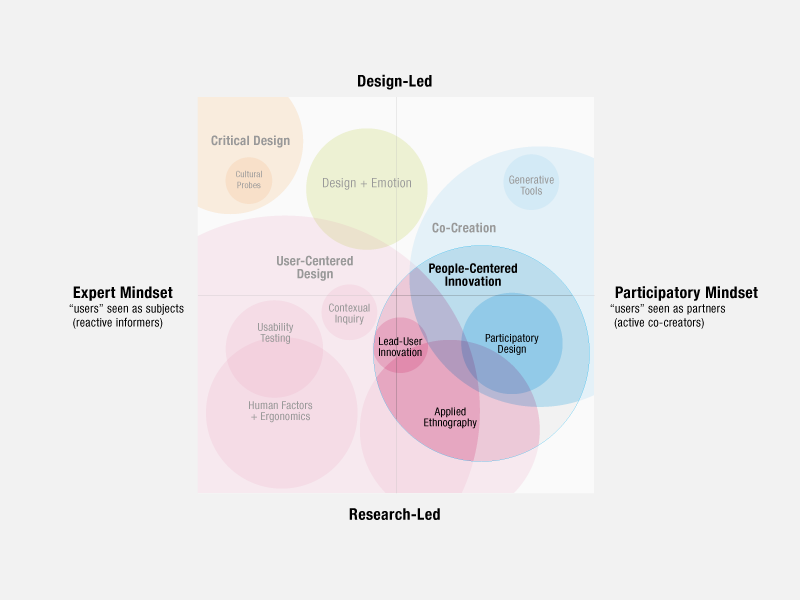 I guess there is an argument that this then ceases to be usability testing, and starts being co-creation or participatory design – but for me the definitions are fuzzy enough that I think the overlap is justified. That’s where it becomes a contextual inquiry.